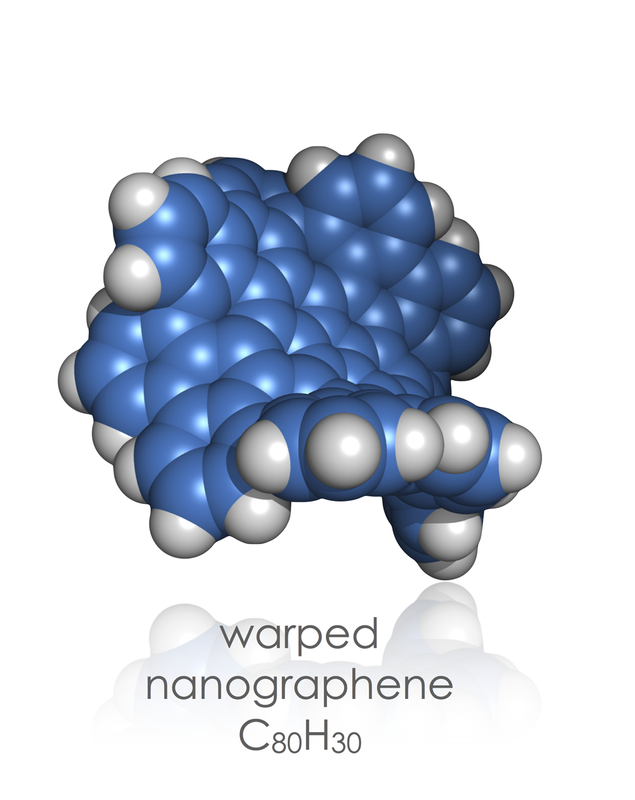 Professor Kenichiro Itami and his coworkers at the Institute of Transformative Bio-molecules (WPI-ITbM), Nagoya University, successfully synthesized a novel nanocarbon, "warped nanographene." Their paper was published online in Nature Chemistry on July 15, 2013. Three nanocarbons, ball-like fullerene, cylindrical carbon nanotube, and planar graphene, have been previously identified. Discoveries of fullerene and graphene were awarded Nobel Prizes in 1996 and 2010, respectively. Professor Itami previously developed a catalyst to precisely synthesize nanographene in 2011. This time, his research group succeeded in synthesizing a novel nanocarbon, warped nanographene, by combining planar graphene and a five-membered ring and five seven-membered rings using his catalyst. Warped nanographene cannot be categorized as one of the three existing nanocarbons, and therefore, it must be declared as a fourth nanocarbon. In addition, since warped nanographene has a curved structure with many imperceptible openings, it is more soluble than nanographene and can be widely used in chemical reactions. This research, resulting in the synthesis of a new nanocarbon, has attracted a tremendous attention worldwide. It has also shown the effectiveness of a previously developed coupling reaction. It is widely expected that the fourth nanocarbon will be useful in applications such as solar batteries, organic semiconductors, and bioimaging. 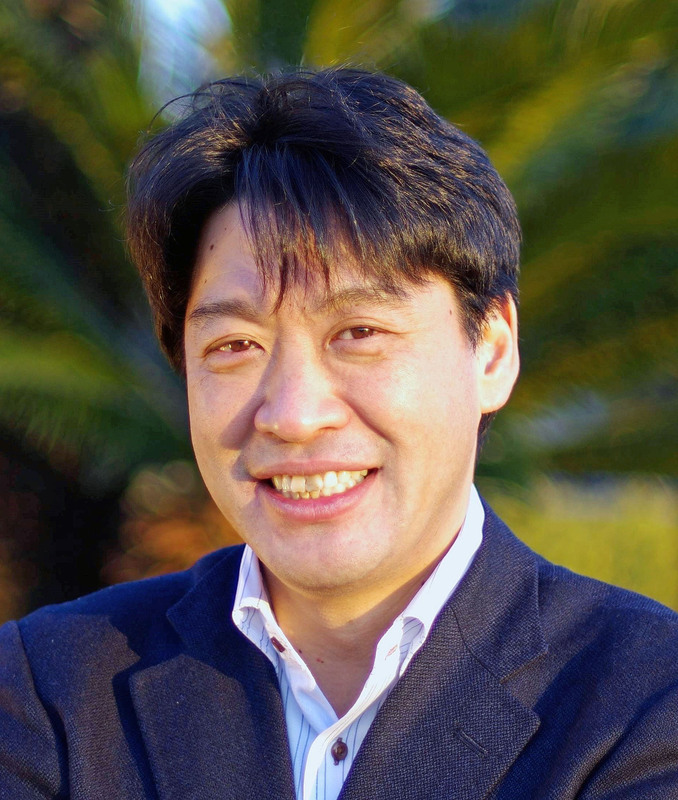 Professor Kenichiro Itami entered academia in order to create new materials with revolutionary functionality. He aims to produce a new substance someday in the future that he will call 'Itamin' and that will help improve people's lives. Currently, he serves as the director of the Institute of Transformative Bio-Molecules, which is one of the six institutes selected by The World Premier International Research Center Initiative (WPI Program).1 He will change the world with molecules by melding synthetic chemistry with biological science. 1. The World Premier International Research Center Initiative (WPI Program) is launched by the Ministry of Education, Culture, Sports, Science and Technology (MEXT), and aims to build research centers with world-leading researchers. "Previously, novel carbon structures such as fullerenes, carbon nanotubes, and graphene have spawned a new field in nanocarbon research. The three existing nanocarbon types have been widely applied in industry, since their functions and physical properties were beyond imagination at the time of their discovery. It would appear that warped nanographene has great potential in various fields centering on electronics."